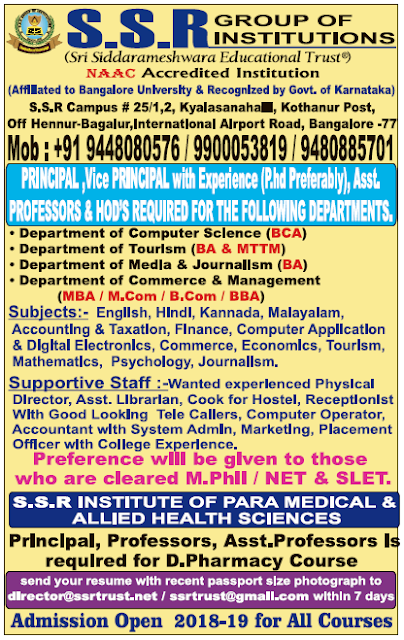 S.S.R Group of Institutions, Bangalore has advertised in DECCAN HERALD newspaper for recruitment of Professor / HOD / Principal / Vice-Principal Plus Non-Faculty jobs vacancies. Interested and eligible job aspirants are requested to apply within 07 days from 27th June 2018. Check out further more details below. About College: S.S.R Group of Institutions have been providing value based practical education at the Pre-University, UG and PG levels. The institutions are best known for the matchless infrastructure and the high faculty standard. 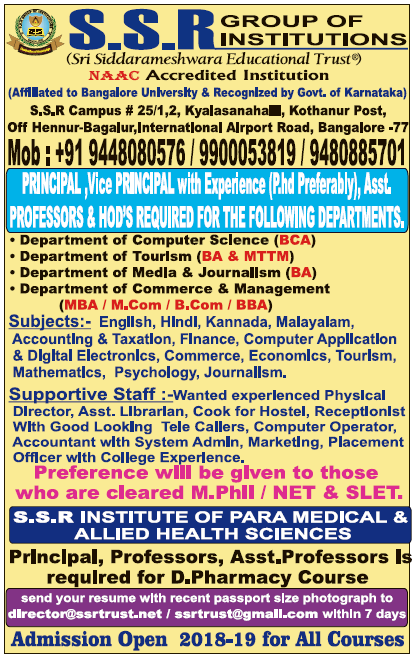 The cost of education is comparatively the best among the reputed colleges in Bangalore.